Country Gospel Song lyrics with chords are available on this web site along with many classic country lyrics with chords from many artists, they are meant for your personal use only. Browse this site to find old gospel songs that you enjoy singing. 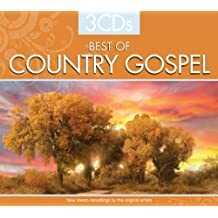 My personal preference is to listen and sing country gospel songs, they are much more meaningful and easy to understand. Enjoy Worship music with lyrics and have a great day. Country Gospel Music has been around for many years and it began as a blend of early mountain music, cowboy music, and music from plantations of the deep south. The songs tend to deal with life’s problems and God’s answers to those problems. Country gospel music has attracted wonderful talent for those who like the sounds of today’s country music. The television show Hee Haw always had a segment of great classic gospel songs, along with the Statler Brothers Show and the Mandrell Sisters Show. The Grand Ole Opry has always included gospel music as part of it’s shows. Other artists with wonderful Christian country music is Ray Price, Hank Williams, Jim Reeves, Red Sovine, The Louvin Brothers, The Carter Family, the Statler Brothers and the Oak Ridge Boys. These artists only scratch the surface of those that sing these wonderful old classic songs. Find your favorite country gospel and classic country lyrics with chords and add them to your personal music book. We would like to extend our thanks to our visitors that have purchased products from our advertisers, it helps to offset some of the expense of maintaining our website. Amazon is a good place to shop with a vast amount of products and great prices.